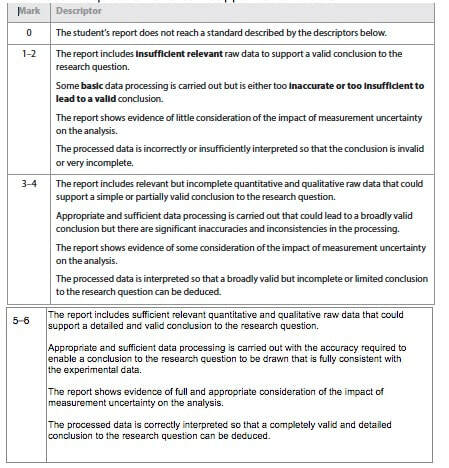 ​​This is the part of the report in which students take raw data and transform it into results that answer (hopefully!) the research question. Click here to see an example. Here students show the calculations that give a numerical result. Statistics are useful mathematical tools which are used to analyze data. Click for more information about statistics.